Earlier this week, NASA hosted the "Planetary Science Vision 2050 Workshop" at their headquarters in Washington, DC. Running from Monday to Wednesday – February 27th to March 1st – the purpose of this workshop was to present NASA's plans for the future of space exploration to the international community. In the course of the many presentations, speeches and panel discussions, many interesting proposals were shared. Among them were two presentations that outlined NASA's plan for the exploration of Jupiter's moon Europa and other icy moons. In the coming decades, NASA hopes to send probes to these moons to investigate the oceans that lie beneath theirs surfaces, which many believe could be home to extra-terrestrial life. With missions to the "ocean worlds" of the solar system, we may finally come to discover life beyond Earth. The first of the two meetings took place on the morning of Monday, Feb. 27th, and was titled "Exploration Pathways for Europa after initial In-Situ Analyses for Biosignatures". In the course of the presentation, Kevin Peter Hand – the Deputy Chief Scientist for solar system Exploration at NASA's Jet Propulsion Laboratory – shared findings from a report prepared by the 2016 Europa Lander Science Definition Team. This report was drafted by NASA's Planetary Science Division (PSD) in response to a congressional directive to begin a pre-Phase A study to assess the scientific value and engineering design of a Europa lander mission. These studies, which are known as Science Definition Team (SDT) reports, are routinely conducted long before missions are mounted in order to gain an understanding of the types of challenges it will face, and what the payoffs will be. As was indicated during the course of the presentation, these objectives were threefold. 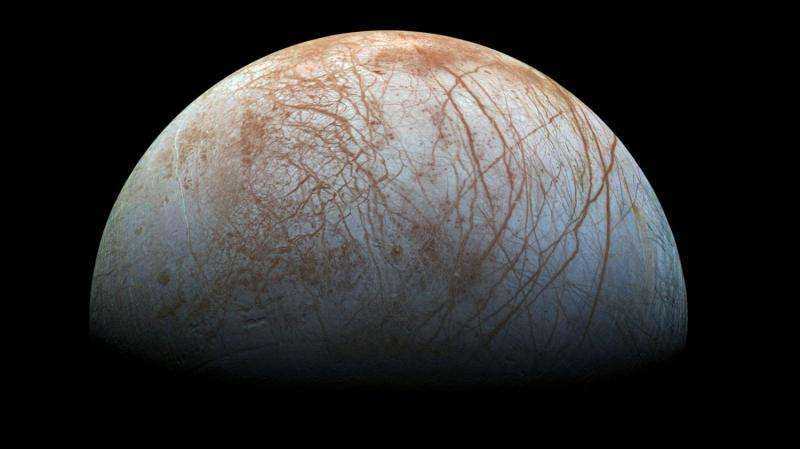 The first would involve searching for biosignatures and signs of life through analyses of Europa's surface and near-subsurface material. The second would be to conduct in-situ analyses to characterize the composition of non-ice near-subsurface material, and determine the proximity of liquid water and recently-erupted material near the lander's location. "Were biosignatures to be found in the surface material, direct access to, and exploration of, Europa's ocean and liquid water environments would be a high priority goal for the astrobiological investigation of our solar system. Europa's ocean would harbor the potential for the study of an extant ecosystem, likely representing a second, independent origin of life in our own solar system. 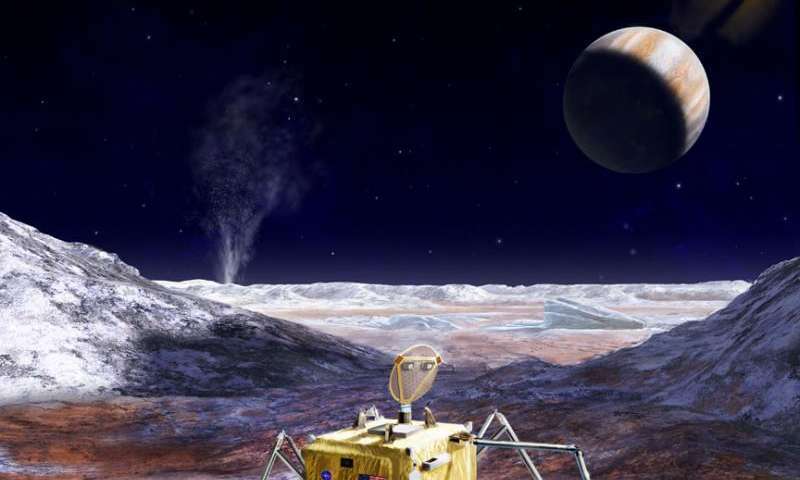 Subsequent exploration would require robotic vehicles and instrumentation capable of accessing the habitable liquid water regions in Europa to enable the study of the ecosystem and organisms." 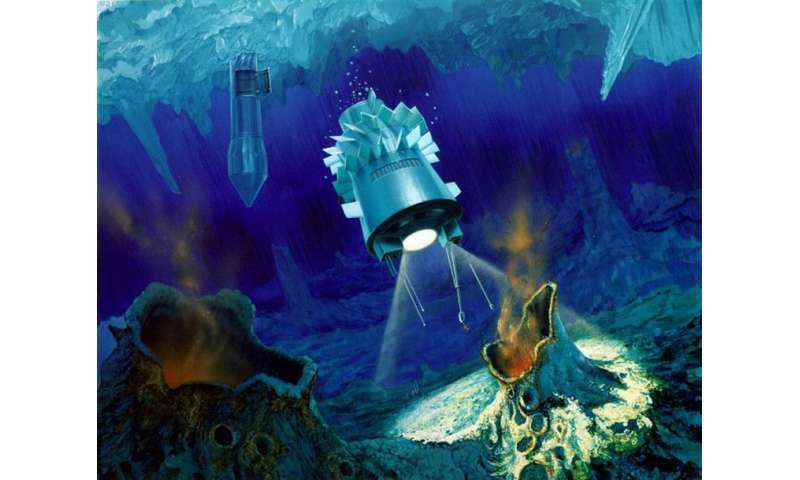 In other words, if the lander mission detected signs of life within Europa's ice sheet, and from material churned up from beneath by resurfacing events, then future missions – most likely involving robotic submarines – would definitely be mounted. The report also states that any finds that are indicative of life would mean that planetary protections would be a major requirement for any future mission, to avoid the possibility of contamination. But of course, Hand also admitted that there is a chance the lander will find no signs of life. If so, Hand indicated that future missions would be tasked with gaining "a better understanding of the fundamental geological and geophysical process on Europa, and how they modulate exchange of material with Europa's ocean." On the other hand, he claimed that even a null-result (i.e. no signs of life anywhere) would still be a major scientific find. The Science Definition Team's report will also be the subject of a townhall meeting at the 2017 Lunar and Planetary Science Conference (LPSC) – which will be taking place from March 20th to 24th in The Woodlands, Texas. The second event will be on April 23rd at the Astrobiology Science Conference (AbSciCon) held in Mesa, Arizona. Click here to read the full report. The second presentation, titled "Roadmaps to Ocean Worlds" took place later on Monday, Feb. 27th. This presentation was put on by members of the the Roadmaps to Ocean Worlds (ROW) team, which is chaired by Dr. Amandra Hendrix – a senior scientist at the Planetary Science Institute in Tuscon, Arizona – and Dr. Terry Hurford, a research assistant from NASA's Science and Exploration Directorate (SED). Founded in 2016 by NASA's Outer Planets Assessment Group (OPAG), ROW was tasked with laying the groundwork for a mission that will explore "ocean worlds" in the search for life elsewhere in the solar system. During the course of the presentation, Hendrix and Hurford laid out the findings from the ROW report, which was completed in January of 2017. As they state in this report, "we define an 'ocean world' as a body with a current liquid ocean (not necessarily global). All bodies in our solar system that plausibly can have or are known to have an ocean will be considered as part of this document. The Earth is a well-studied ocean world that can be used as a reference ("ground truth") and point of comparison." "Although Titan possesses a large subsurface ocean, it also has an abundant supply of a wide range of organic species and surface liquids, which are readily accessible and could harbor more exotic forms of life. Furthermore, Titan may have transient surface liquid water such as impact melt pools and fresh cryovolcanic flows in contact with both solid and liquid surface organics. These environments present unique and important locations for investigating prebiotic chemistry, and potentially, the first steps towards life." Ultimately, the ROW's pursuit of life on "ocean worlds" consists of four main goals. These include identifying ocean worlds in the solar system, which would mean determining which of the worlds and candidate worlds would be well-suited to study. The second is to characterize the nature of these oceans, which would include determining the properties of the ice shell and liquid ocean, and what drives fluid motion in them. If all goes well, and exploration missions to Europa and other icy moons are allowed to go forward, the benefits could be immeasurable. In addition to the possibility of finding life beyond Earth, we will come to learn a great deal about our solar system, and no doubt learn something more about humanity's place in the cosmos. Yeah, so that was from a sci-fi book. It didn't really happen. So it's okay to go to Europa. A warning need be sent out to NASA, "remember the "ice" harpoons on Philae!" It is more likely the theoretical beliefs regarding gravity are flawed and these fanciful imaginings of ocean worlds are but a pie in the sky fantasy of pop-sci-fi religionists. Did ya have to, CD...?? One reason for the belief that there is an ocean is due to the orbital observations and density calculations, i.e. gravity readings. So yes, with astrophysicists it is almost always about gravity. 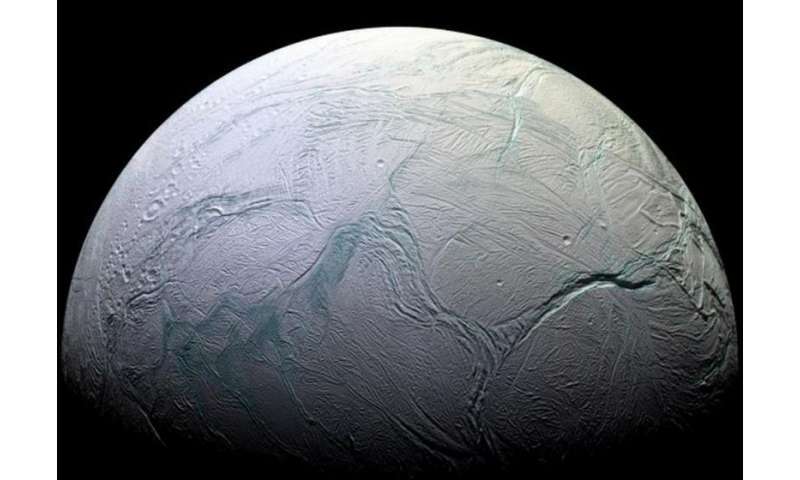 My vote is still for Enceladus, which has mineral-laden geysers indicating hot contact with rock and minerals, as we have in the deep-sea vents.